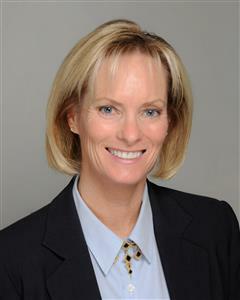 Born in St. Petersburg, Florida, originally from Portland, Maine, lives in Naples, Florida for over 20 years with husband, Phil, who is a PGA Golf Professional. One of the few Realtors in the nation to hold the professional designation ABR (Accredited Buyer Representative). The ABR designation is awarded to residential real estate associates who complete strict educational requirements combined with experience and sales results. Member of the Woman's Council ofRealtors. Recipient of Berkshire Hathaway Home Services Florida Realty's Top 25 Realtors Statewide, President's Circle, Honor Society, Leading Edge Awards and Gulf Shore Life's 5 Star Customer Appreciation recognition. Proudly servicing Marco Island and Naples area residential real estate properties. The data relating to real estate for sale displayed on this Website comes in part from the Broker Reciprocity Program (BR Program) of M.L.S. of Naples, Inc., under License No. 267510165. Properties listed with brokerage firms other than BHHS Florida Realty are marked with the “BR House” logo. Detailed information about such properties includes the name of the brokerage firm with which the seller has listed the property. The properties displayed may not be all the properties listed with brokerage firms participating in the M.L.S. of Naples, Inc. BR Program, or contained in the database compilation of the M.L.S. of Naples, Inc.